Joel's screenplay, THE COLOR OF FLESH (based on his play) is a dramatic love triangle set during the turbulent years around the French Revolution. Austrian director Virgil Widrich (THE NIGHT OF A THOUSAND HOURS) is set to direct the film in fall/winter 2019. MARIE ANTOINETTE: THE COLOR OF FLESH was given its first public reading at a theatre in New York, with Julia Roberts, Elisabeth Shue, and Stephen Lang in the cast. Subsequently, the play was developed at the Playwrights Kitchen Ensemble in Los Angeles, with the help of its artistic director, Dan Lauria. Bob Kalfin directed the play at the New Jersey Rep( its world premiere,) and later directed its New York debut. MARIE ANTOINETTE continues to be staged around the country since its 2008 off-Broadway production, and is being developed as a film (see below). Winner of "Best Play" for Spotlight Awards 2015, it has also been staged in Canada and Australia, and has been translated into Spanish, French, and Polish. To read selected reviews of the play, please click on the links to the right. As noted above, THE COLOR OF FLESH is in pre-production, with director Virgil Widrich planning to shoot the film in fall/winter of 2019. Joel's contemporary drama, SHOESTRING PARADISE, is being developed as a film for director Shawn Ku (BEAUTIFUL BOY), with producers Josh Young and Mike Medavoy. Joel has previously worked on films for Fox, Universal, Sony, and HBO. CARMILLA, a new musical drama, written by Joel Gross and Paul Aleman, was presented as a staged reading by the York Theatre Company. The reading was directed by Gabriel Barre. Musical arrangements and supervision by Jim Abbott. Joel and Paul are also developing DILLINGER, a musical drama about the life and legend of the famous gangster, with arranger/orchestrator Jim Abbott. 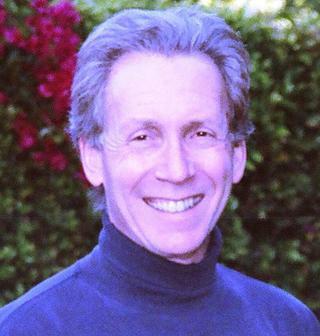 Joel Gross's novels include THE BOOKS OF RACHEL. He is a member of the Authors Guild, the Dramatists Guild, the Writers Guild, and P.E.N. KINDLE editions of THE BOOKS OF RACHEL, THE LIVES OF RACHEL, THIS YEAR IN JERUSALEM, MAURA'S DREAM, and SARAH: A NOVEL OF SARAH BERNHARDT are now available.